One of the most stressful and less enjoyable parts of tourism is packing. It’s the bit that nobody wants to do, gets left to the last minute, and when you end up over the limit or squeezing things in, leaves you in a state of worry or panic. 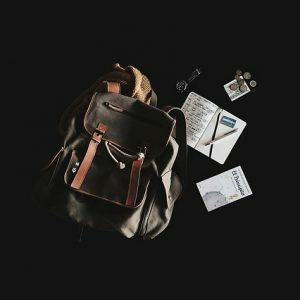 But with these simple packing tips, you’ll learn to pack and travel like a pro, skipping over stress and getting on with your journey. Firstly, make sure you check your airline’s weight and size regulations, as well as liquid allowance in hand luggage, which may be confined to one small bag. If you have several flights, compare the regulations and stick to the smallest of all of them. Have a tape measure and luggage scale on hand for a final check. Before you start packing, make a list of things you need. It’s a good idea to separate between checked and hand luggage. Things you’ll want in your hand luggage will be tickets, passport, book or kindle, earplugs, mp3 player, and anything else you can fit and need on hand. When it comes to main luggage – especially clothing – be brutal. Lay them out before you pack them and make two piles, yes and maybe. Pack the yes and see how much space you have left. Go through the maybe pile and be as brutal as you need to be. Rolling is not only a space saver, but you can see much more of your stuff you can fit than when it’s in folded piles. Added bonus: it looks way neater. If you’ve followed rule #3, you shouldn’t be packing until your suitcase is bursting at the seams. You’ll probably be bringing some stuff back with you, so make sure there is a little room. Pop in some bubble wrap if you’re worried about things shuffling about too much.